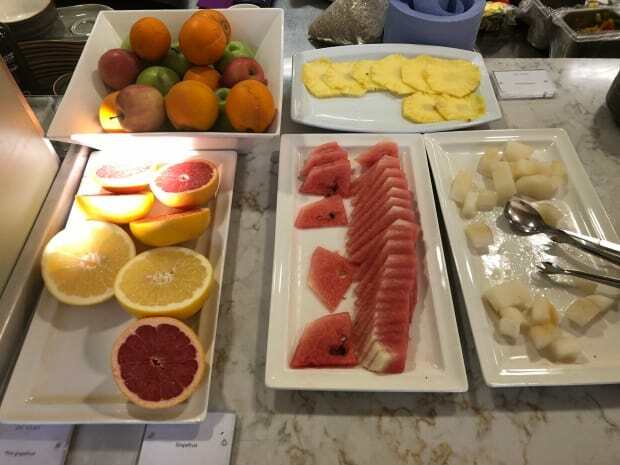 It’s hard sometimes to differentiate between the experiences you have at a hotel from the hotel itself. 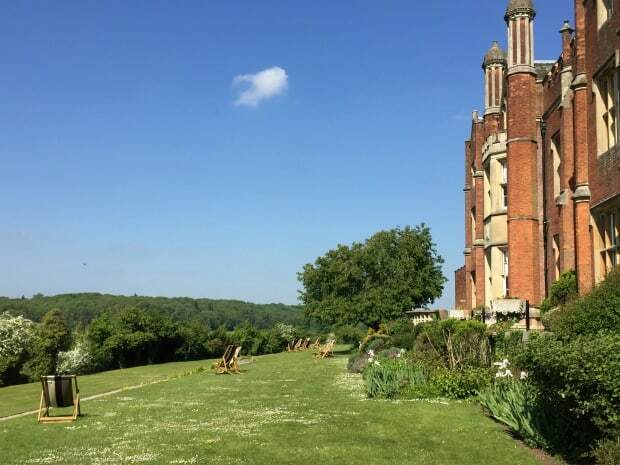 We went to the De Vere Latimer Estate in Chesham, Buckinghamshire for a wedding, and it’s difficult to separate the great time we had at the wedding with the experience of staying at the hotel, but I’ll give it a go. 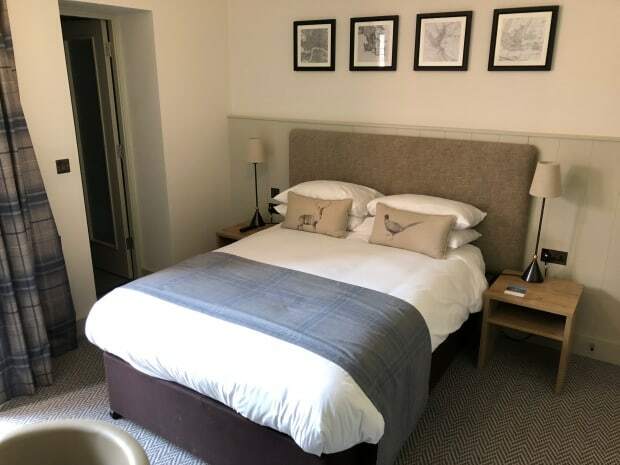 The De Vere Latimer Estate is a 30 minute walk or a six minute cab ride from Chalfont & Latimer which is a sleepy little town an hour from Moorgate in London via the Metropolitan Line. There are two exits to the station and we needed cash so headed into town, not realising that you have to go a long way around to get to the taxi rank on the other side of the station. A snippy sign saying “Ticket Holders Only” threatened fines for trespassing, making us pause and wonder what to do. We could go through the station and risk the fine or walk an extra 400 metres with our luggage. 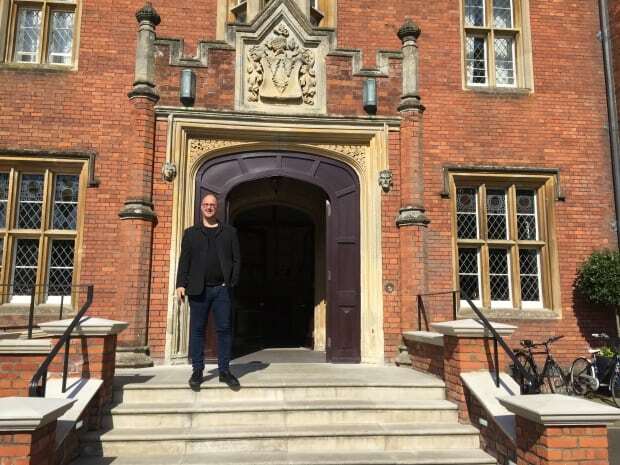 We were saved from the decision when we heard someone ask if they could go to the De Vere Latimer Estate. We looked over and a lady, fresh off the train was talking to a taxi driver who had just had his car washed. We asked if she’d like to split the cab fare and we all bundled into the taxi and drove off. 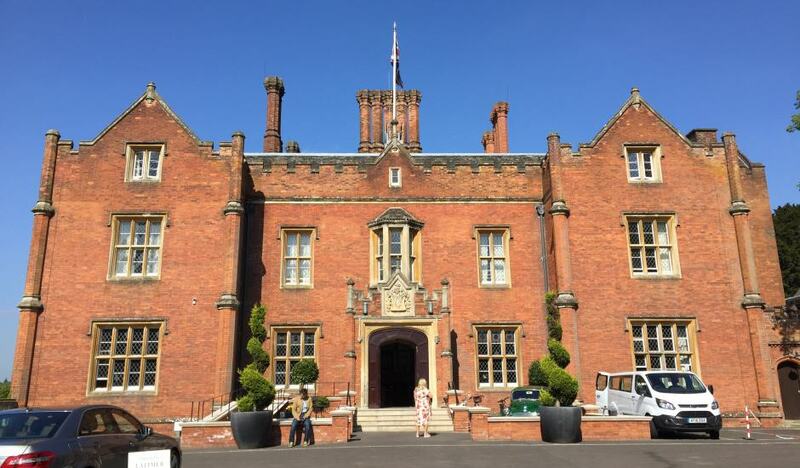 She was going to the De Vere Latimer Estate for some life coach training and we found out that the De Vere Latimer hotel also had rooms for training and conferences. The five minute trip was over before we knew it and the driver dropped us off outside the main reception. We checked in without incident and headed to our room. 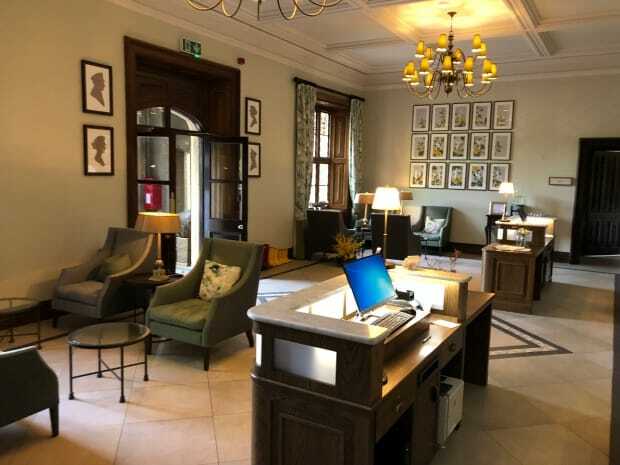 The De Vere Latimer Hotel consists of three buildings: a swimming pool and gym attached to reception, an annexe attached to the reception and, connected by a long corridor, the main grand old building which was built in 1838. This build breathes history. The original building housed Charles I when he was imprisoned and Charles II before he fled abroad, but burnt down in the 1830s. The current building was an Intelligence base housing captured German officers during World War II and continued as a top secret spy base in the Cold War period afterwards. There’s talk that there was a covenant on the purchase of the house dictating that a secret corridor in the basement of the main house has to stay bricked up for 50 years. I only found this out after leaving the hotel, otherwise I think I would have been found exploring the basement with a torch in the middle of the night. Our room was in the annexe – actually it was the last room in the annexe, with a view out across the meadow which sat beside the banks of the Chess River, and towards the side of the old building. A few ancient trees provided shelter but the outlook was pure English idyllic countryside, bright green in the sunshine. We had our own narrow balcony with two chairs and a small table, separated from the neighbours by a slat wall. The bed wasn’t huge, but was certainly comfortable. Plenty of pillow choices too, with a couple each plus a cushion. 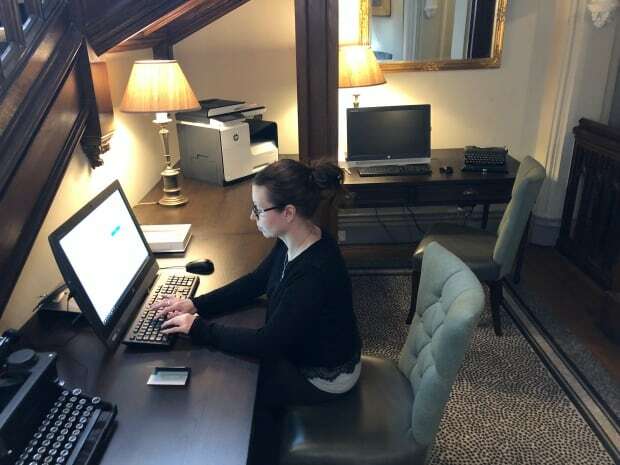 The room also included a simple desk for getting some work done. 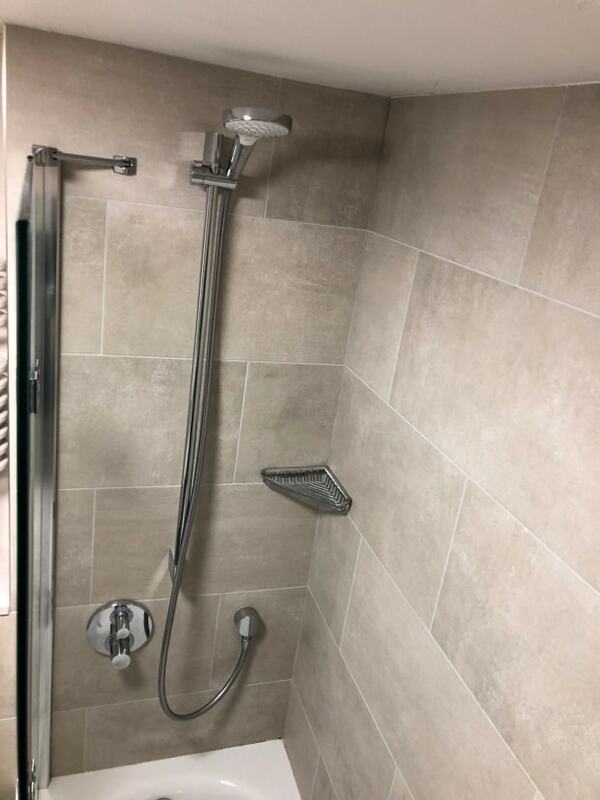 The bathroom featured H2K of Harrogate toiletries and had a shower head with multiple settings so that you could adjust the flow to something you liked – I preferred the higher pressure of fewer streams of water. A simple room done well. All checked in, we decided to go exploring. 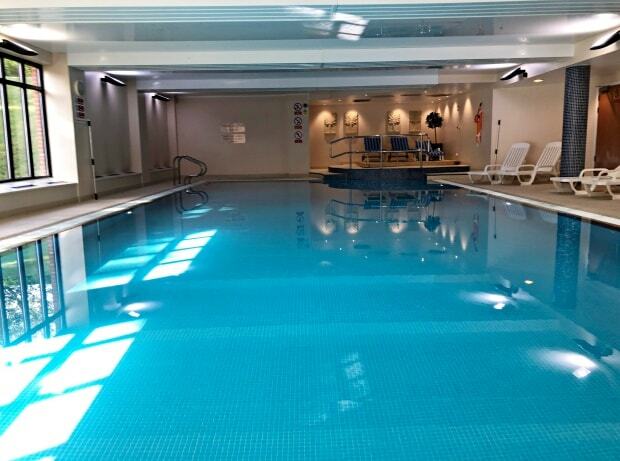 Nestled adjacent to the reception and annexe was a health centre consisting of a well attended gym, a pool and a sauna and steam room. I couldn’t tell if the people in the gym were locals using the De Vere Latimer hotel’s facilities as a gym or they were hotel guests. There wasn’t anyone in the pool while we were looking around and while I believe it was heated, when I dipped my hand in it, it certainly wasn’t warm. Tepid at best! There was a cafe at reception, with bar stools and high tables if you needed to wait for your room to be ready I guess, but we headed down the long corridor towards the old building, because we figured that’s where the interesting things would be. A long corridor between buildings could be boring or an opportunity to really establish the style of the hotel. The De Vere Latimer Estate certainly avoided boring, with various pictures and design features dotting the walls. 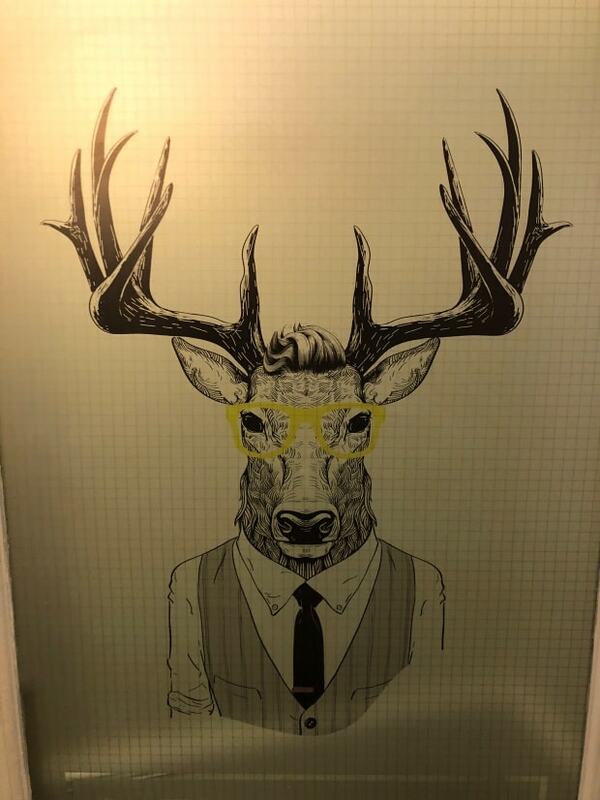 My favourites were the stylistic depiction of all the De Vere hotels in the UK on a map of England and, painted on a corridor door, a stag wearing a suit and yellow spectacles. And then we were in the main building. Bars, lounges, ball rooms and common areas were all on the ground floor with an imposing grand staircase leading up past stained glass windows to the rooms above. Nestled beneath the staircase was a business centre – a laser printer with two computers. Beside each computer was an old fashioned typewriter – juxtaposing old and new. Through another doorway, a second reception area welcomed guests here too and while the reception area we had been dropped at by our taxi driver was perfectly serviceable, this one had all manner of quirky design flourishes which invited attention. 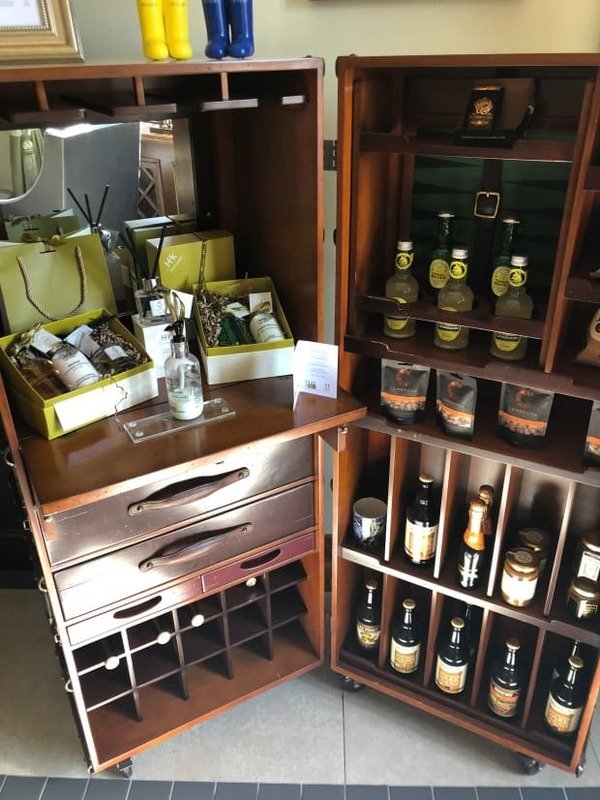 There was the huge steamer trunk which had been flipped onto its side so it was upright like a coffin and shelving placed inside to hold snacks and bottles of wine. I noticed they’d put casters on it too so it was a mobile mini bar. 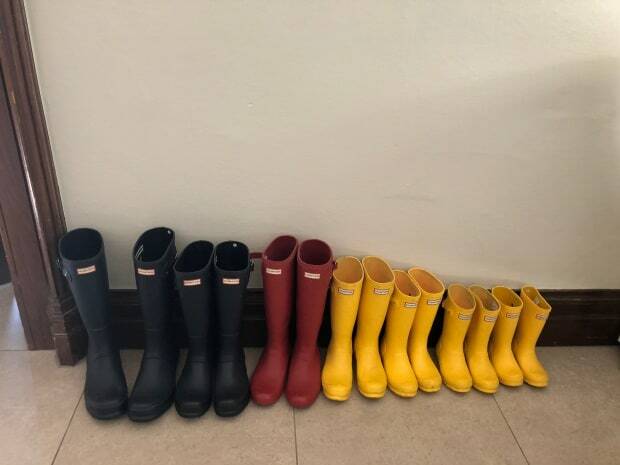 I noticed two small pairs of brightly coloured gumboots on the top, and then also noticed an array of gumboots by the door, artfully arrayed by size and colour. 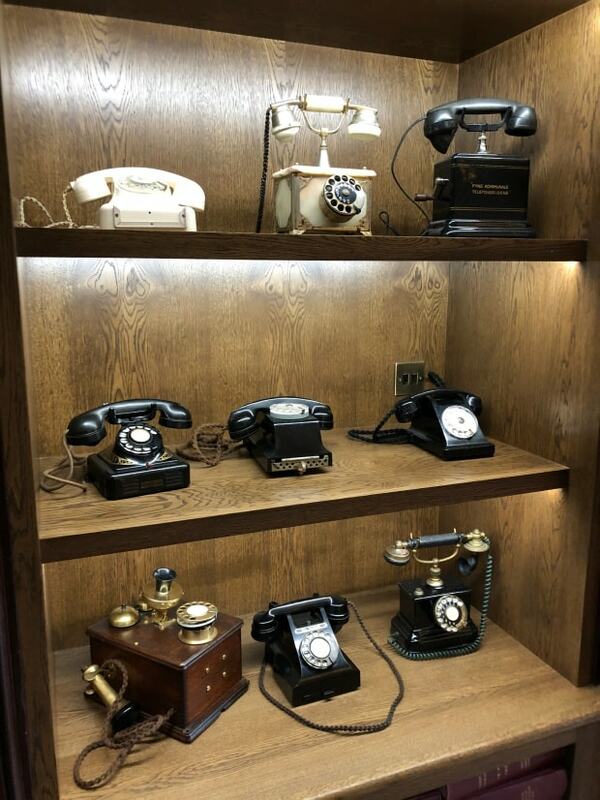 A whole bookshelf was taken up with antique telephones. 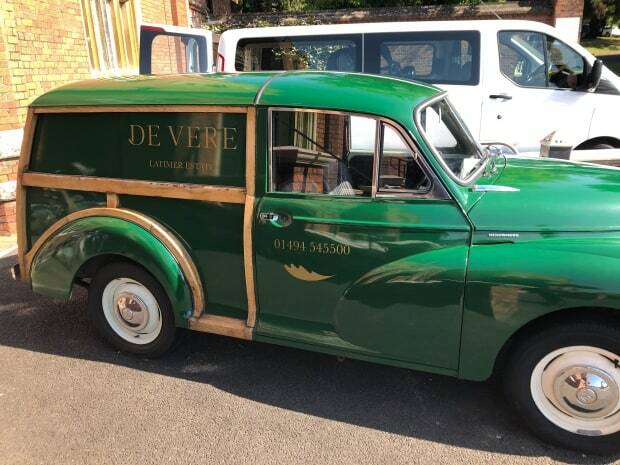 Out the door we could see an old fashioned car in De Vere livery, looking immaculate. 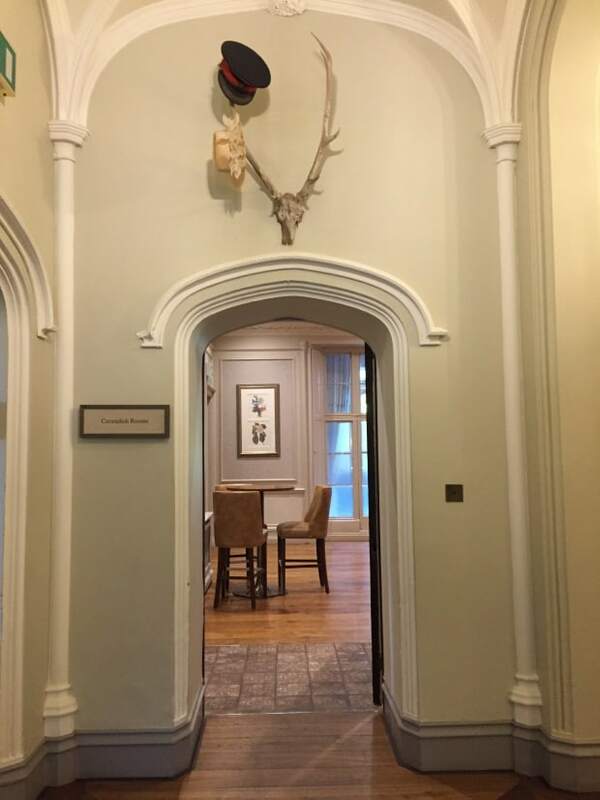 We turned around to take in the splendour of the main entrance, marble stairs leading up to the front door with the coat of arms above it with three stag heads. 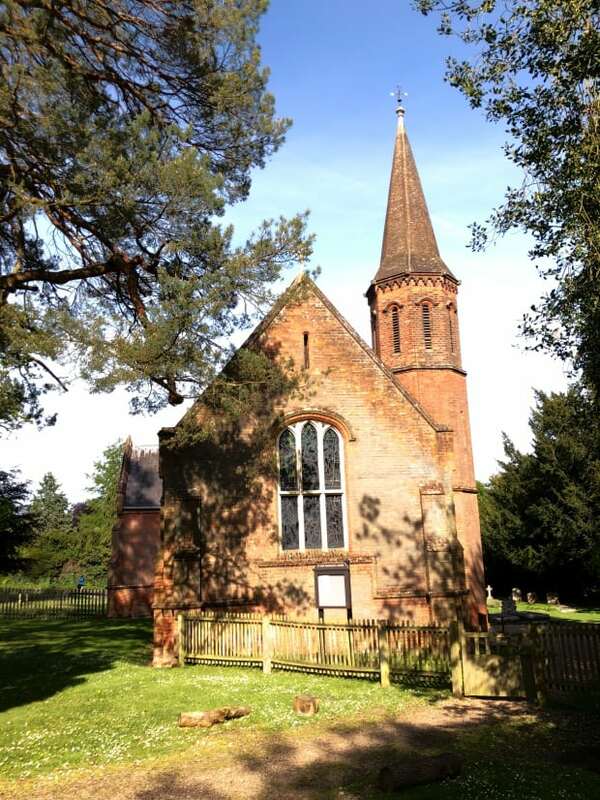 A very short stroll across the carpark lead to the chapel of St Mary Magdalene Church, where our friend’s wedding would be held. We could see why they chose this location: the sun was out and we were seeing the English countryside in all its glory. 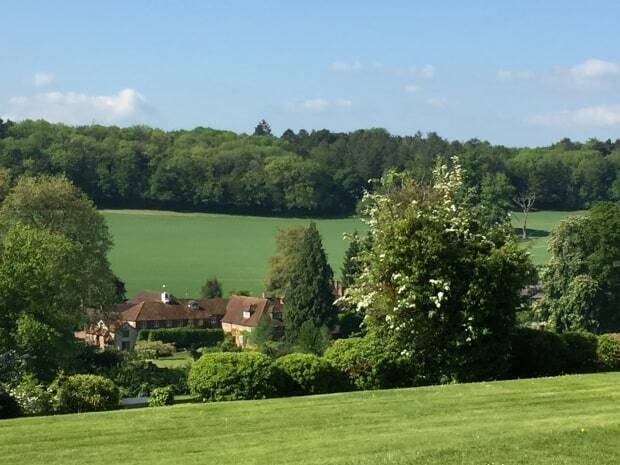 We continued our stroll around the De Vere Latimer hotel’s old building, looking down the hill to the River Chess and he various houses on the other side of the river. 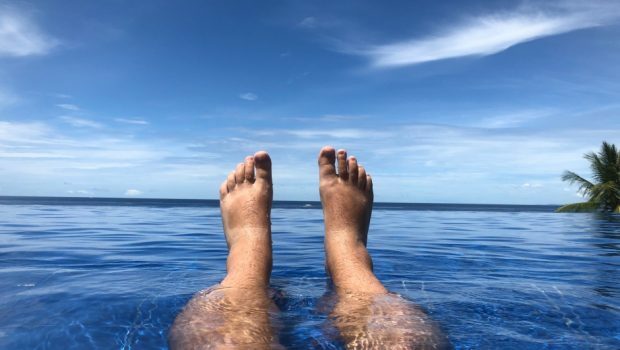 A few sun chairs were strategically placed so you could soak up the rays while enjoying the view. 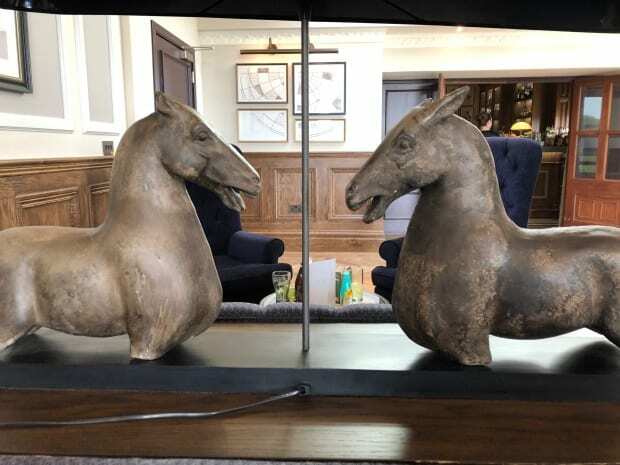 We then went back inside through the many bars, noticing little design features like the Art Deco lamp next to the oranges in one bar, and the horse statues cut off at the knees and turned into a lamp in another. Stag antlers with an officer’s hat sat above one door. 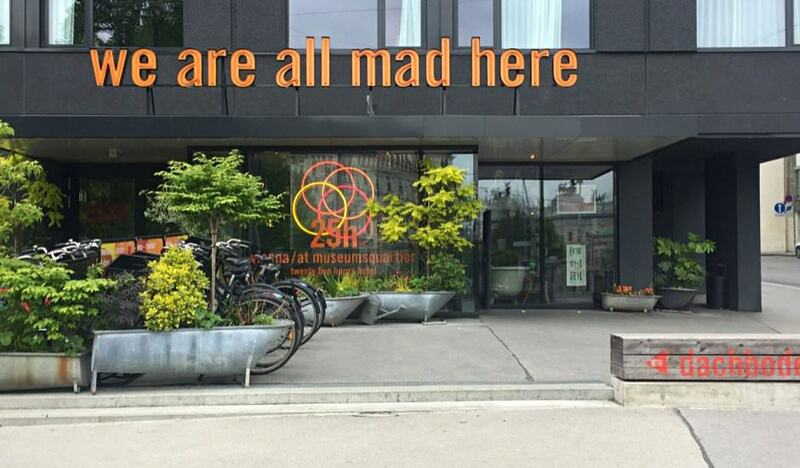 It was all a little quirky but it all worked wonderfully – kudos to the designer! 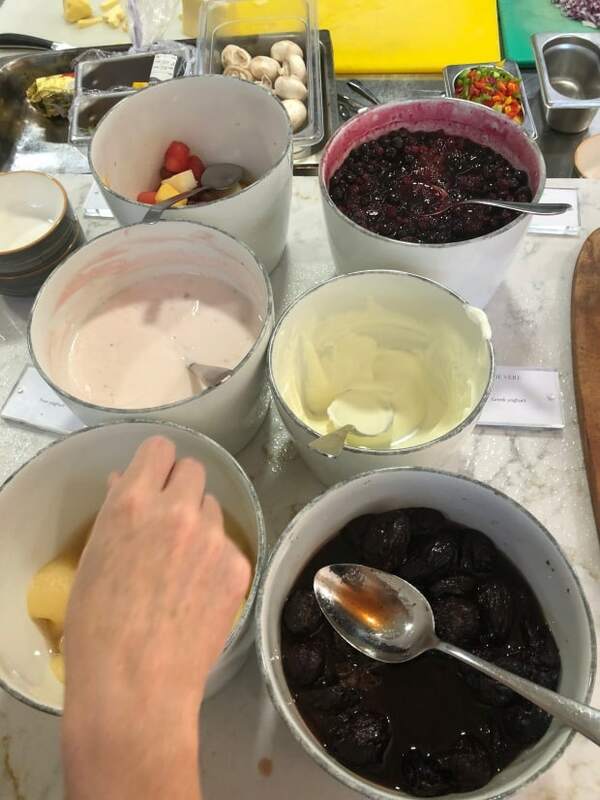 The breakfast room was a sprawling affair with a bar housing the juice station on one side and the scullery on the other. In the scullery a pair of cooks alternated between making omelettes to order and replenishing the array of hot breakfast items. 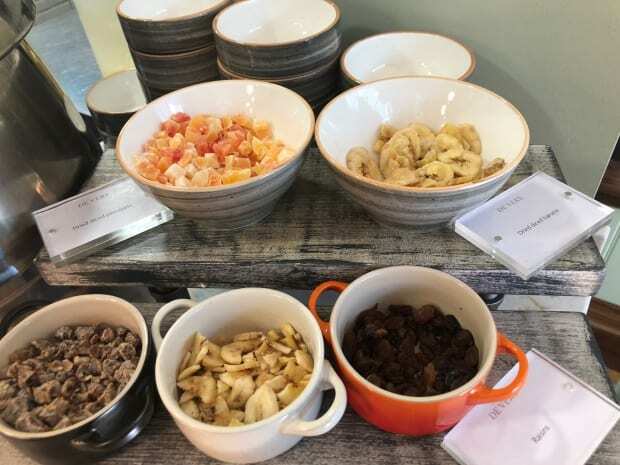 The usual suspects featured: bacon, tomatoes, hash browns and eggs two ways – scrambled and fried, while the yoghurt and cereals were augmented with a variety of sprinkles – dried fruit pieces and raisins. 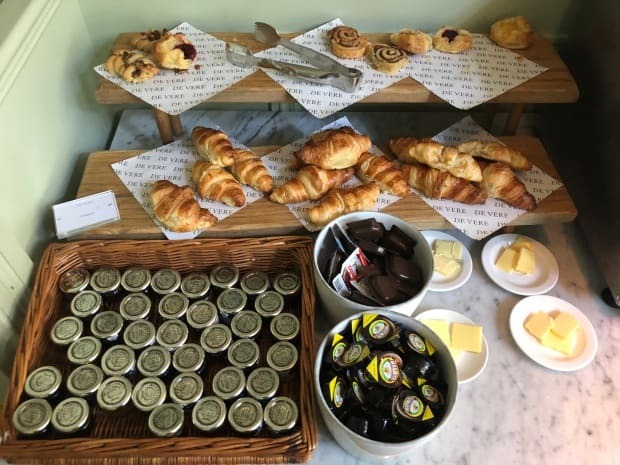 An impressive selections of breads and croissants were available for toasting and there were a myriad of little single serve pottles of jam and marmalade. A nice selection of fruit finished it all off. 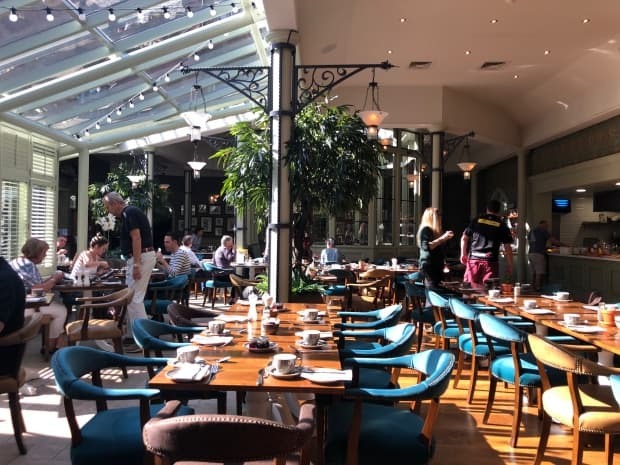 As good as the food was though, the dining area threatened to take top billing with the stylistic inclusion of copper pots and pans and ceiling windows bathing the room in gorgeous sunshine. Great the first morning we were there, less welcome the morning after the wedding through due to hungover eyes! 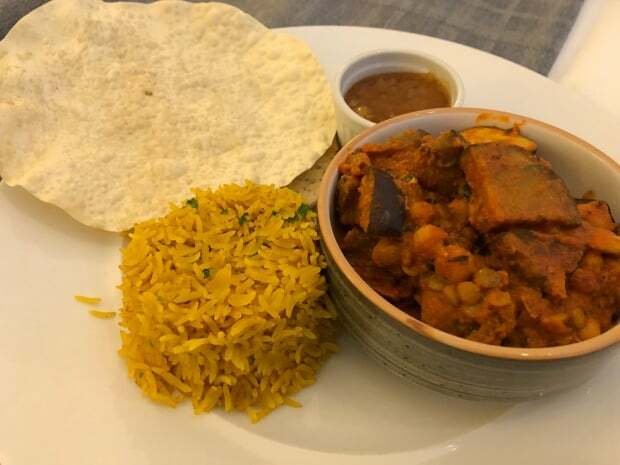 After travelling from San Francisco to Vancouver and on to Iceland, we were delighted that the prices of the room service were back to a level approaching reasonable. 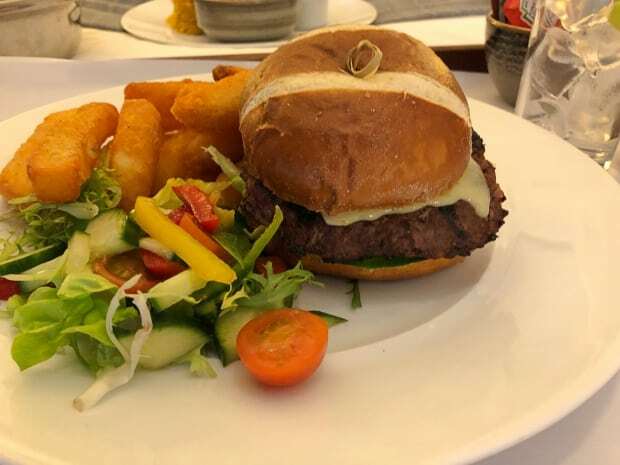 Ange had the vegetarian tikka masala and I, surprise surprise, had the burger which came with enormous double fried fries and a healthy little side salad. Great value. We washed it down with a bottle of ginger ale each. 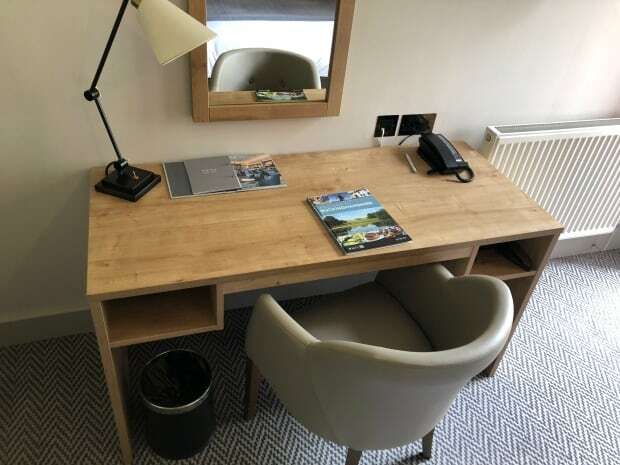 It’s easy to fall in love with the De Vere Latimer Estate. 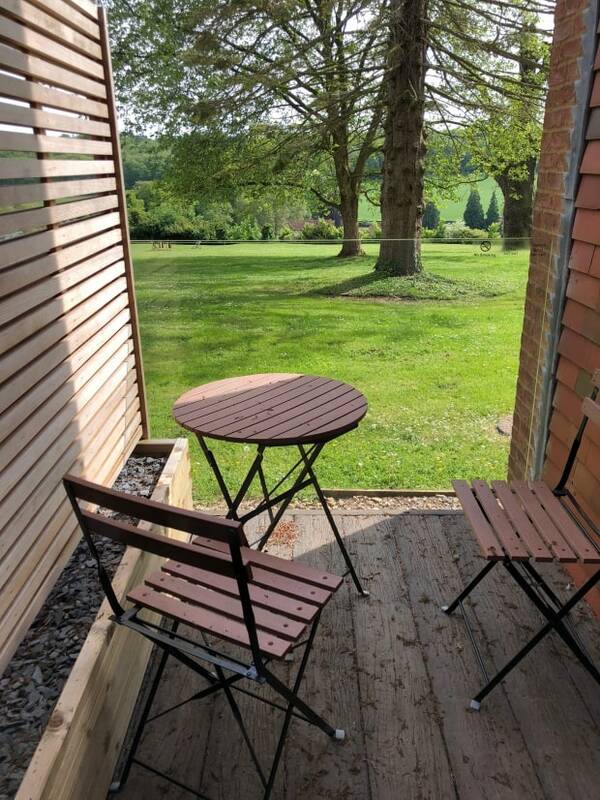 It offers reasonably priced rooms and the building and idyllic country setting are wonderful. Conferences, trainings and weddings are perfect out there as it provides a wonderful backdrop but allows you to focus on the event at hand without being distracted. I’d love to go back, but without a solid reason to go out there, like a wedding, that might be a little while away.